***MOTIVATED SELLERS*** on a fabulous turn-key opportunity! 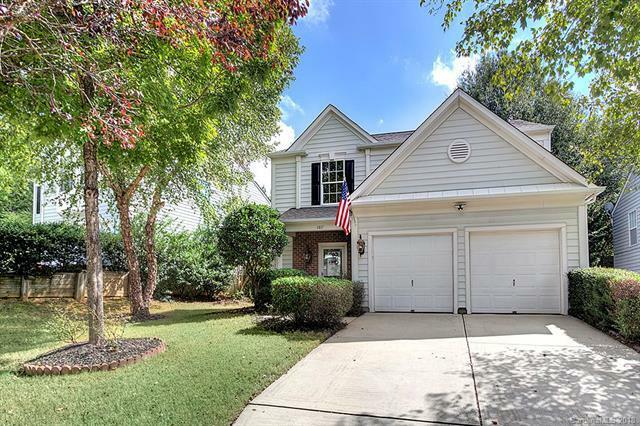 Sellers will provide "up to $5,000 credit at closing for buyer to use with transaction as needed, plus a home warranty up to $500 with executed contract by Nov. 30th or before!Located in well-established neighborhood with sought after award-winning Ballantyne schools! Step into this house and youll immediately enjoy a travertine tiled foyer, beautiful updates throughout, freshly painted interior, incredible custom crown molding, stunning light fixtures, brand new carpet, granite counters in a spacious kitchen! Relax in the custom tiled MB steam shower! Secondary bedrooms boast walk-in closets! New water heater 2017. Extra overhead storage racks in garage. Located near cul-de-sac and open HOA common area. Entertain with your family & friends on the enjoyable oversized deck and custom patio! Conveniently located to Publix, shopping, restaurants and less than 3 miles to I-485.